Your rate limiter has a solid feature set: rate limit requests by IP address or a user identifier, allow dynamic rate limits and use a route-specific rate limit configuration. A missing feature is the support for web views. Up to this point, the rate limiter responds an error in JSON format. 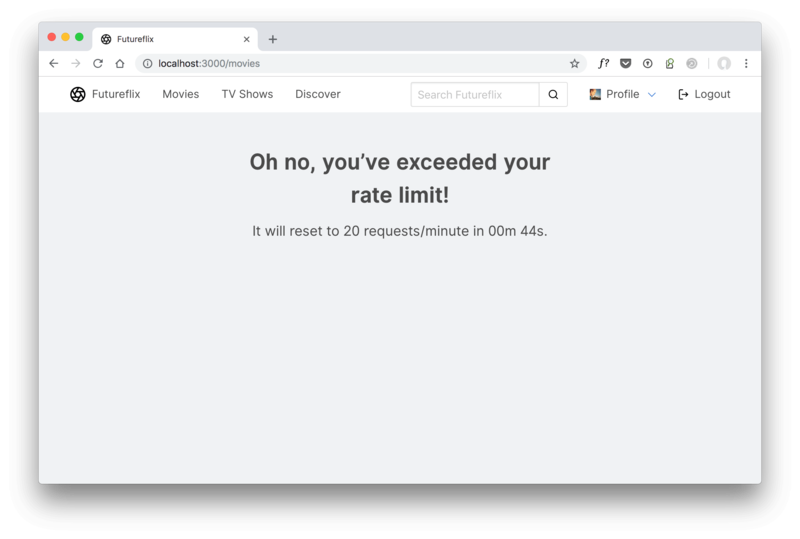 After completing this tutorial, your rate limiter is able to respond with a “rate limit exceeded” HTML view besides the JSON response. In case you want a helping hand on the code: the complete package is available on GitHub in the hapi-rate-limitor repository and on NPM at hapi-rate-limitor.